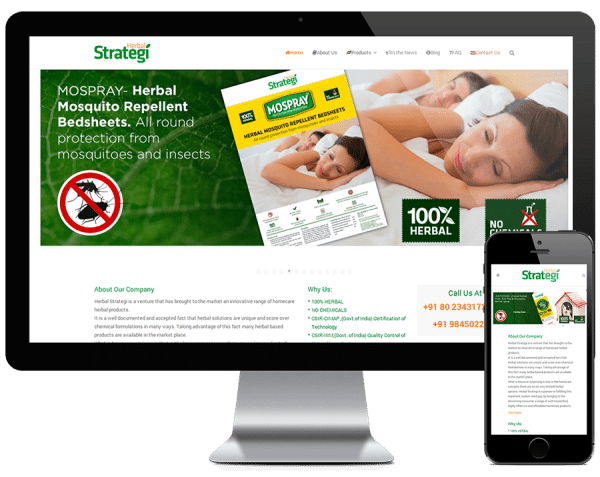 Herbal Strategi creates herbal products like mosquito repellants, house-hold cleaners etc. We created an e-commerce enabled WordPress website using the WooCommerce plugin. The client can now list all their products online and allow the customers to purchase them directly from them. The website was created in collaboration with an SEO expert to enable the business to rank high on Google for their type of products.